Acer platanoides Drummondii , with its attractive light green to grey green foliage with outer edge variegation of rose yellow ageing to white The variegated crown can provide an exceptional contrast when planted with Acer Crimson king or Royal Red. This tree copes very well with air pollution and has good resistance to wind and drought conditions once established. It won the RHS Award of Merit in 1956. Please select the size and quantity of your Acer tree below. If the tree size you require is not listed please call for current availability and delivery options as we are always updating the stock we have for sale at our tree nursery in Essex. Girth in CM equates roughly to height in feet. For example: 10/12cm girth = 10/12ft tall. Flower / Foliage: Vivid variegated large cream and green leaves, orange in the autumn. Recommended usage: Medium to large gardens and parks. Once planted Norway Maple will need watering throughout the first growing season, but make sure not to over / under water. Check tree tie / stake isn't rubbing and / or too tight or too loose on the trunk. Check for and remove any dead, decaying, diseased or crossing branch. Remove any weeds from around the base of the Norway Maple tree (including grass). Position/Aspect: Norway Maple can be grown in all aspects. Hardiness: Hardy in most places throughout the UK even in severe winters. Plant maintenance: Low maintenance, any shoots which show signs of reversion are best removed. How do I order from King & Co? Your order may be placed via our Online Shop, which is fast simple and secure. After your Online Shop order has been placed we will send an order confirmation email to the email address provided. This will provide you with details of your order, including the order number, which you should check and retain for your records. If there is an error in your order requirement, please contact us as soon as possible quoting your order number, so that we can rectify prior to dispatch. We will take your credit or debit card payment over the phone. Simply call us on 01376 340469 and one of our experienced team are always available to discuss your order 7 days a week. Collect your trees or shrubs from our Nursery in Rayne. We accept all major credit cards including: Maestro, MasterCard, Visa Credit, Visa Electron and Visa Debit. How can I expect delivery from King & Co? We can delivery to you anywhere in England and Wales via an overnight courier service (two days for Scotland & Ireland). Orders placed via our Online shop if placed by 12 noon Monday –Thursday can be delivered to you the very next day. If placed on a Friday - Sunday delivery would be on Tuesday. We deliver by national overnight courier service. Should you require a specific delivery date, let us know in advance and we will arrange for your delivery to arrive on your required date. 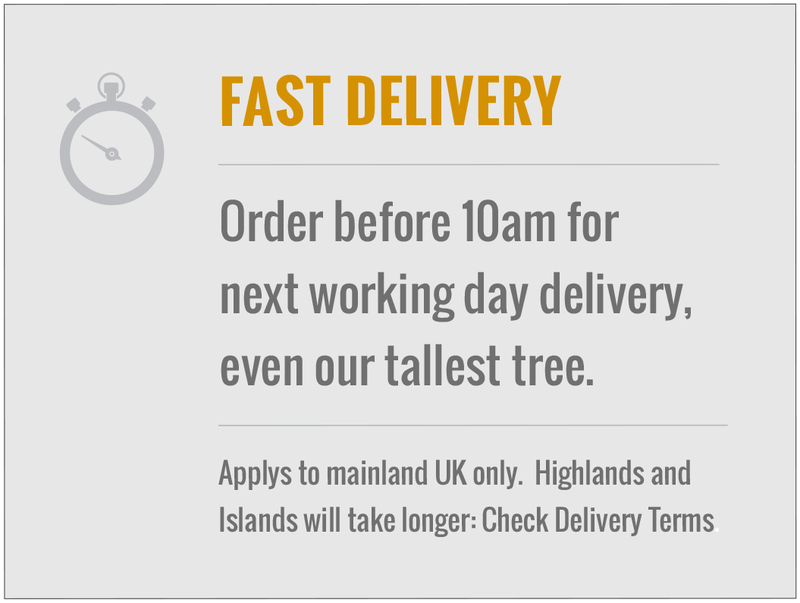 Every tree and plant is packed to ensure your order arrives safely. 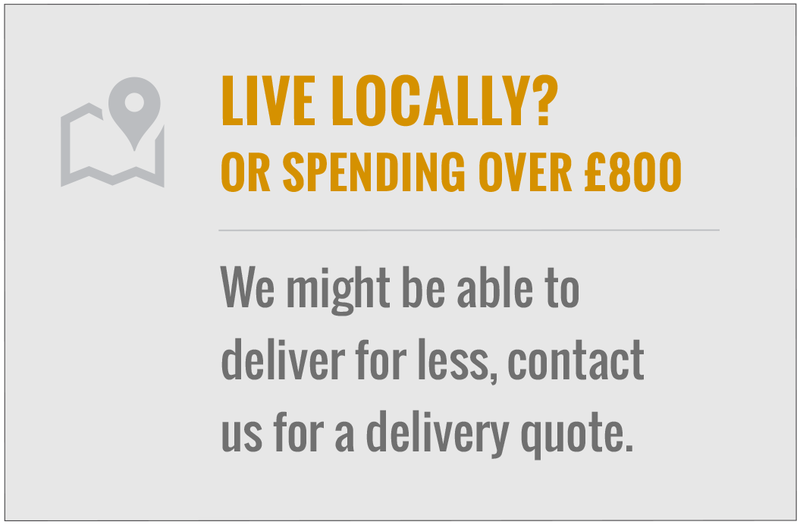 Please phone us to discuss, we are usually able to deliver to you via a dedicated vehicle. We will deliver to you in our local area and we will be pleased to arrange this with you whilst you are visiting our Nursery or via the phone. We also provide a planting service. 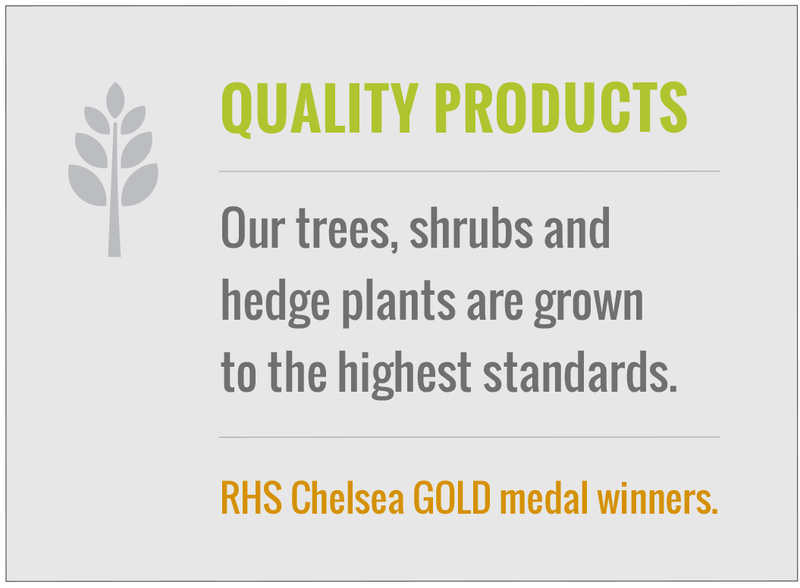 We have our own installation teams to carry out planting in Southern & Eastern England. Please call us to discuss, we are always happy to provide you a quotation. © Kingco. All Rights Reserved. King and Co The Tree Nursery Ltd, Dunmow Road, Rayne, Essex, CM77 6WF. 1 hr from London.